Put FRIDAY 2ND FEBRUARY 2018 in your diary and get swatting! This is the date for the next PTA Posh Pie & Quiz night to raise funds for the village school. Teams of up to 8ppl. We can merge smaller teams on the night if you wish. 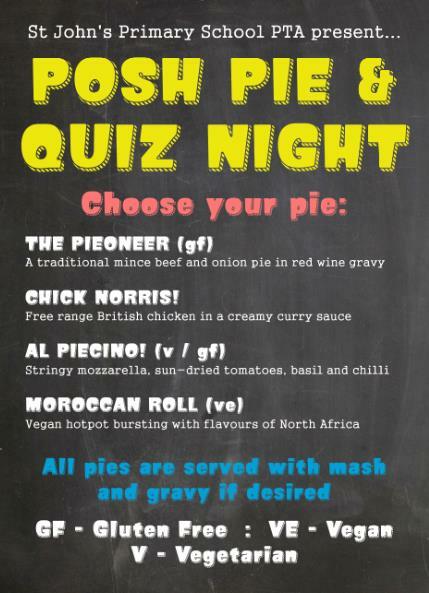 And not only is there a great fun quiz and other entertaining games at half time, a delicious meal of Pie & Mash served up by the amazing award winning Piecaramba. 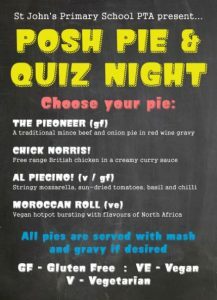 With a choice of 4 delicious pies, inc vegetarian, gluten free and vegan options, there’s something for everyone. Tickets are strictly limited so don’t miss out! 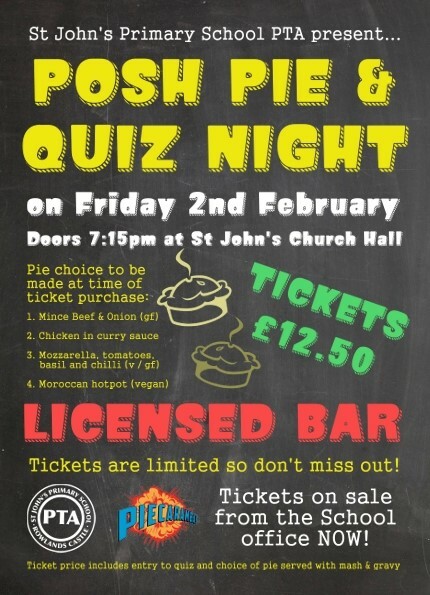 We hope to see you then for what promises to be another fun packed evening!